K.A.R.E.  Camp partners with a wonderful variety of organizations. As we grow, so does our partner list. What does it mean to be a K.A.R.E. Camp partner? Organizations and companies that partner with K.A.R.E. Camp help shape the next generation. We are looking for organizations who are as passionate as we are, and want to engage our campers in unique, hands-on experiences. If you are interested in being a K.A.R.E. Camp partner, or would like to nominate an organization to be our partner, let’s brainstorm how we can grow together and contact us.